Looking to watch the Portland Trail Blazers online? Learn about all your legal options for the 2018-2019 season in this Trail Blazers live stream guide. Data effective 10/15/2018. Offers and availability may vary by location and are subject to change. Damien Lillard is back with a vengeance this season and is looking to leave a mark in the Pacific Northwest, along with the rest of the Portland Trail Blazers. No one wants to miss it, so we’ve gathered the best ways to watch them conquer this season. Read ahead for all the details. When it comes to the most important channel for Portland Trail Blazer fans, NBC Sports Northwest is where it’s at. ESPN, TNT, and NBA TV cover some games as well, but nothing beats local coverage. Let’s put away the charts and channel options and dig into the pros and cons of each service. That way, you can find the right one for you. Think of all the things you want from your live TV provider. Now, add perks like unlimited DVR storage and no contracts. That’s the recipe for YouTube TV, and if you aren’t ready to commit, there’s a 7-day free trial. YouTube TV is the best service around. It has one package that costs $40 a month, making it the cheapest option on this list that offers both Portland Trail Blazer games and other live TV channels like IFC so you won’t have to worry about any Portlandia spoiler alerts. YouTube TV talks the talk, but it also walks the walk with its unlimited DVR storage. You won’t be paying for any additional fees or installation appointments, and (this is our favorite part) no contracts. You can consider the mic dropped. So there’s all the good news, which means… time for some bad news. YouTube TV’s DVR can only store content for nine months, so you’ll have to rearrange some priorities if you’ve been holding out on watching a really intense game for eight months (for some reason). There’s one more downside. YouTube TV is still trying to reach availability nationwide, which means it may not be available in your area yet. We recommend you head over to YouTube TV’s homepage and enter your zip code to see if you’re eligible for a subscription. If you are, start that free trial ASAP, but if you’re not… there are other options. DISH is all about access and quantity. Unlike other services on this list, DISH’s America’s Top 200 package comes out swinging with over 200 channels to choose from—and you don’t have to rely on a shoddy internet connection to get what you want. But quality comes with a price tag. For DISH’s America’s Top 200 you’ll have to pay $79.99 a month, which is definitely more than YouTube TV’s price but with double the content. You’ll have to decide if it’s worth it to you. DISH’s biggest flaws come in the form of contracts. Nobody likes contracts. And we definitely don’t like two-year contracts, but as far as satellite TV contracts go, DISH’s prices at least stay consistent so you don’t get predatory price hikes (unlike, say, DIRECTV). So you may consider rolling with the punches to get your Trail Blazers’ fix. DISH is also the most expensive option on the list, which can start to feel overwhelming across two years. But if your wallet can flex it, you probably aren’t going to find a more reliable and widely available way to watch your local basketball team. If all you want in life is Portland Trail Blazers games but you’re just not in the market for NBC Sports Northwest, then NBA League Pass is what you’re looking for. NBA Team Pass gets you exactly what you want for the lowest price. 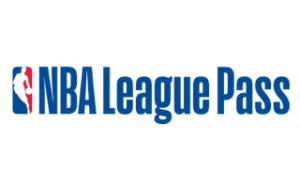 NBA League Pass offers several packages, ranging from coverage of one team to all NBA games, but if you’re just trying to watch the Portland Trail Blazers, you can sign up for the $119 per year or $17.99 a month package. NBA League Pass is all about getting you as much live coverage as possible for out-of-market games. So if you’re in the Portland area, this isn’t the service for you. And if you’re looking for nationally televised games as well, you’re also out of luck. You’ll want another service to get you those. But if you’re trying to watch games not available locally, then it’s game time for you. NBA League Pass is different than all the other services on this list because it doesn’t offer traditional live TV channels, just basketball. Some of you may consider signing up for a live TV provider and NBA League Pass if you want some out-of-market games. But again, if you’re trying to watch local games, NBA League Pass isn’t for you. You’ll be better off picking from our top two options instead. Portland Trail Blazers have already started racking up wins. Make sure to not miss another second of this 2018-2019 season, and pick the right service for you. If you have any questions about these services or the NBA schedule, feel free to reach out to us on Twitter. We’ve got your back.